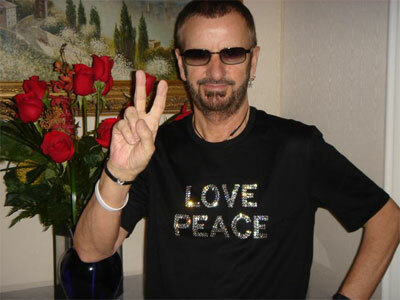 Ringo Starr autographed jackets to benefit WaterAid on #GivingTuesday. Beatles Radio: The Beatles, Solos, Covers, Birthdays, News The Fab 4 and More! The hand-signed Timberland cotton khaki jackets will be available on eBay beginning at 10am PST on December 3, with bidding continuing through Friday, December 13. Online shoppers also have the option of purchasing the jacket outright through eBay's "Buy it now" feature. All proceeds will benefit WaterAid, the largest international nonprofit dedicated to transforming lives through improved access to safe water, toilets and hygiene education. "I believe in my heart that everyone should have clean water," Starr said. "Two thousand kids die every day from the lack of safe drinking water and it's time to say 'enough'! That's why I am asking people to join me in showing the world we care this holiday season by supporting WaterAid's work to help the world's poorest communities gain access to clean water."